Car maintenance is simpler with the automotive service centre at Anderson Kia. 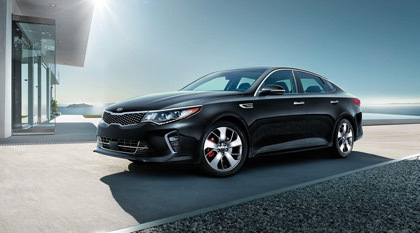 Our Kia-certified mechanics are primed to handle repair and maintenance needs of any scale. Whether you need brake service or an oil change, our team has a top quality solution and an efficient timeline to match. Bring your vehicle to our service center in Woodstock, ON to keep your maintenance plan on track. When it comes to service & parts departments in the Simco area, ours is the one that people can rely on. Not only does our dealership employ only the most highly qualified and professional technicians, but also, our customer service is top-tier, our prices are competitive and our service is convenient. When you drop your vehicle off with us, you can rest assured that it is in good hands. Our team eats, breathes and lives Kia, and each member is required to undergo extensive ongoing training and to stay up-to-date on all of the latest technological advancements. This is to ensure that once your vehicle is treated, it won't need maintenance again for for several thousand kilometres or so. Enjoy our free Wi-Fi, coffee, tea and water. You can also get some work done if you choose in one of our business work stations.